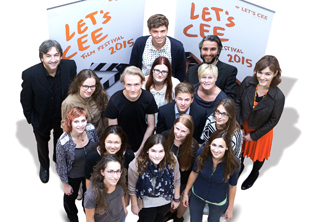 From October 1-11 the fourth LET'S CEE Film Festival was held in Vienna. 118 outstanding productions from Central and Eastern Europe, including the Caucasus region and Turkey were presented; most of them Austrian premieres in the original language with German or English subtitles. 41 were screened in one of the four competition categories. With almost 200 international guests, 118 films, 181 screenings, 140 public talks and 40 other sessions, ranging from industry events to masters classes, concerts and public readings the fourth LET’S CEE Film Festival was the most comprehensive so far. The Urania Award 2015 in the Feature Film Section, in which eleven films were nominated, went to the enthralling drama You carry me, from Croatian director Ivona Juka. 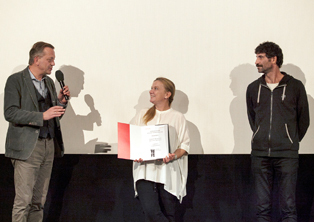 In the Documentary Film Section, the award went to The Queen of Silence by Agnieszka Zwiefka from Poland. In the Short Film Competition won The Same Blood by Mitry Semenov-Aleinikov from Belarus. The Balkan western Aferim!, which has been praised by international film reviewers, was given the Audience Award – introduced for the first time this year. The winner in the new category of Promising Debuts was the tragicomedy For Some Inexplicable Reason by Gábor Reisz from Hungary. 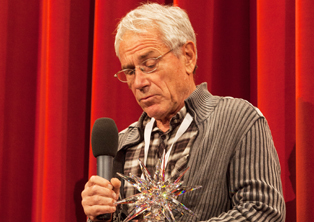 At the Opening Ceremony, the Serbian director Želimir Žilnik was awarded the Star of the Urania, the Lifetime Achievement Award of the LET’S CEE Festival. For the first time, an award for the best acting performance was given: the Iranian actress Fatemeh Motamed-Arya received it for her role in the Azerbaijani film Nabat.